Most of you know Annie Corbin as the smiling curly-haired beauty behind the counter in Squirrel Hill. Did you also know she is the Director of our Pediatrics program? In addition to vast professional knowledge and experience, Annie herself suffers from epilepsy, a condition certified to be treated by medical marijuana in Pennsylvania. In honor of November being Epilepsy Awareness Month, we wanted to take the time to spotlight our own warrior. My family. We have been plagued by several different neurological conditions. I myself have epilepsy, my child was born with a rare brain defect and epilepsy, my nephew has autism and severe epilepsy. In addition to those of us living with our conditions, I also recently lost my brother to brain cancer. Watching my family endure the pain that was inflicted by these conditions along with the loss that encompasses them fueled my heart, and motivated me to fight for them, and for everyone else that has happened to be dealt a harder hand in life, every single day. After angrily watching my family suffer through traditional treatments while other states legalized medical marijuana, I decided to pack up and leave Pennsylvania for Colorado, praying for answers. Not only did I find the answers I was looking for, I also found the path I was meant to take in life. Shortly after moving to CO, I began to work in the industry that has provided my family and I with a new chance at life. The patients! There is nothing more that matters here to me, than them. I take great pride in seeing them, hearing their stories, nurturing the bonds we have created and watching them improve every day. Solevo Wellness is family to me, and I want our patients to feel the same warmth I feel here. 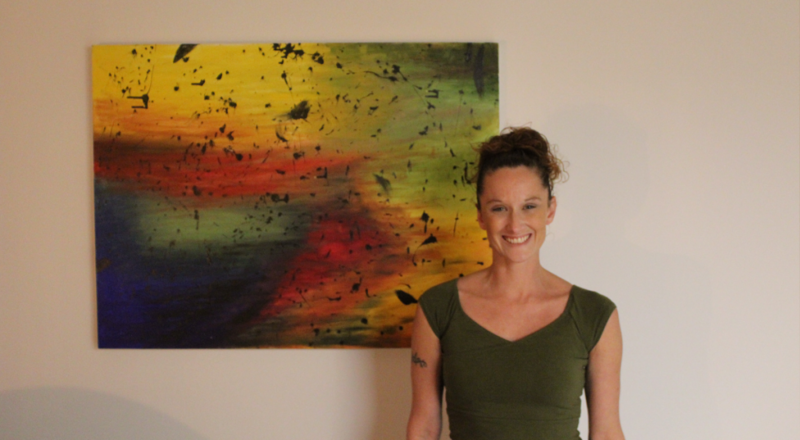 Annie with a painting by her daughter & Solevo Wellness patient, Arianne. What has been the most rewarding part of being Pediatric Director & a Patient Care Consultant (PCC) at Solevo Wellness? I absolutely love following these children from start to finish and seeing how far they have come. Even past the children, watching anyone of any age heal from this plant is beyond rewarding. However, to be able to give a child who wasn’t dealt the best hand in life hope to keep pushing on, is beyond amazing. It isn’t only rewarding for me to see the children’s progress, but also to see the parent’s reactions to the benefits as well. I know that as caregivers we can feel completely hopeless. Between endless trips to the ER only to be sent home until next time, and week-long EEG’s, only to be told that there are still no answers, having a child that is suffering is exhausting. I’ve talked to parents who are sick of administering medication on top of medication and they still seize day after day. I’ve seen their stress, and I’ve felt it. There is no better feeling than watching that stress begin to lift away because of medical marijuana. At Solevo I can finally give patients and caregivers hope, and to see that hope in their eyes makes me happy to come to work every day. Beyond the patient, you begin to see changes in the family as a whole, and to be able to give someone that is truly an amazing feeling. If you are a certified MMJ Patient, what is your favorite strain & what does it help with? My favorite strain is Lime Skunk. 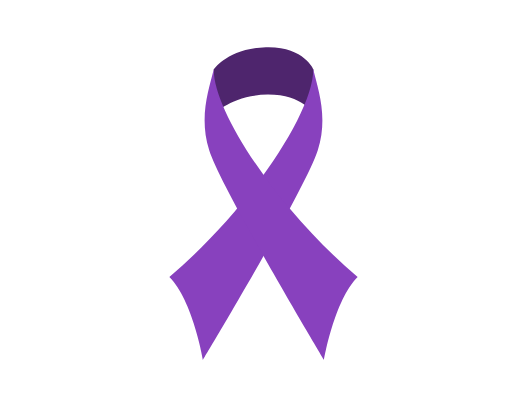 In addition to epilepsy, I also suffer from fatigue and seasonal depression. Lime Skunk gives me the ability to get out of bed and function. What do you consider your MMJ Expertise? I love working with the plant itself, during my time in Colorado I found growing to be my passion. It may sound crazy, but the smell of soil is very therapeutic to me. I have worked in many roles in this industry. However, I never felt as though my knowledge and expertise were being utilized fully. Around that time, I moved back to Pittsburgh and found a home at Solevo Wellness. Here at Solevo I can give my patients more of me, not just my experience with the plant, but also my experience with medical marijuana in my personal life. What are you hoping to expand your knowledge on? I am always researching and trying to figure out the best options to benefit my patient’s specific conditions. There are many unknown cannabinoids, as well as thousands of strains, so I am sure I will be on a constant search to expand my comprehension of this plant, and all its wonderous works. I also enjoy reading various research studies taking place, and to see the actual data that is becoming available. The research being done is really exciting to me. Two of the biggest conditions I treat are autism and epilepsy. Being that both have so many unknowns, it’s nice to know that with medical marijuana research we are seeing some solid data to prove that it is helpful. What is one thing you would want someone thinking trying MMJ to know? That this medicine may not work for everyone, and the trial and error process can be frustrating at times. Do not give up if the first thing you try doesn’t work. Work with your PCC, tell them everything you can to help them guide you to find the correct medication. We are here to work with you and for you to help you find success in this plant. Are you the caregiver of a child who may benefit from medical marijuana? If you haven’t met Annie Corbin yet, stop by our Squirrel Hill location! She is always ready to help with a smile on her face and so much information to share.